The Piedras Blancas lighthouse was first illuminated on February 15, 1875. A mere 8 years later a severe earthquake caused some damage about 70 feet up from the base. Finally in 1948, after additional earthquakes, the determination was made that the upper three floors had to be removed. Therefore, the lighthouse stands at 70 feet tall rather than the original 100 feet. The original Fresnel lens was preserved and is on display in the nearby community of Cambria. The lighthouse is located on a very scenic stretch of California coastline 5.5 miles north of San Simeon. In 2001 the Bureau of Land Management assumed management of the site with the objective to restore the light station to its period of greatest historical significance. 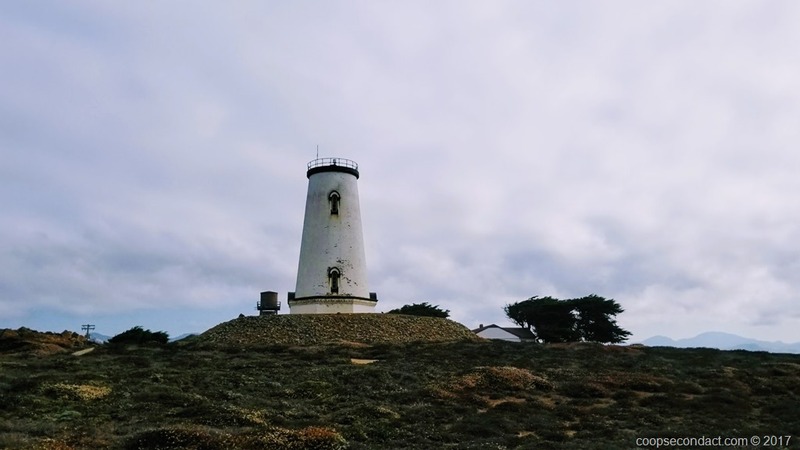 The non-profit Piedras Blancas Light Station Association raises funds and provides volunteer assistance for restoration and maintenance. They also conduct scheduled tours which provided us the opportunity to tour the site.